Energy Medicine, What Is It? Energy medicine is a practice that works to affect positive change in the patterns of energy held within and around us. Long recognized by ancient cultures, subtle energy is only recently being detected, researched, and utilized by western medicine. Energy medicine practitioners are skilled at perceiving and working with subtle energy to positively influence health. 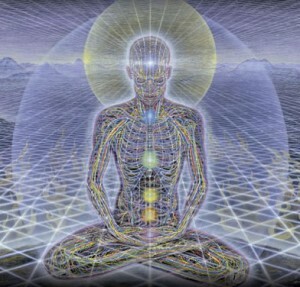 The human energy field is the structure upon which the cells of the physical body grow. It is the template, and it sets the foundation for the physical body. Any health problems that manifest in the physical body appear first as distortions in the energy field. If left untreated, the distortions may manifest in the body as disease or in the life as difficult experiences. Through clearing, repairing, charging, and balancing the energy field, health can be effectively sustained and restored. When our energy field becomes clear and strong, our true essence is able to emerge, shining light and consciousness through every cell of our body and being, creating deep joy, radiant health, and pure ecstasy. The purpose of this work is to assist you in returning to a full remembrance of your core Essence, for healing, in my understanding, is simply the process of remembering who we truly are. In this process of discovery, we are given the opportunity to allow our distortions and false perceptions to be shed and ultimately transformed into their original virtuous nature. This is as much a practice of inner alchemy as it is a path of healing, and it is my greatest joy to assist you on this journey of self-discovery. Through time, as you begin to understand and experience your authentic essence, the intent of the work is to support you in the process of creatively birthing this through your body and being, and into the world (if that be your destiny). In this way, you may experience the grace, beauty, and fulfillment of living a creative, self-realized, and authentic life. Energy work transcends the limitations of time and space, therefore these modalities are not restricted to practitioner and client being in close geographical proximity. Healing sessions may be effectively offered from a distance. Phone and skype are utilized to assist in the healing process, as check in and conversation are often essential in supporting the client to fully integrate the session. Energy medicine is a holistic modality that adresses body, mind, spirit, and soul. In an energy medicine treatment, we work with subtle energy, utilizing both distance healing and hands on healing techniques, to clear, restructure, vitalize, and balance the energy field so that health can be effectively sustained and restored. The energy medicine practitioner is grounded in many years of energy arts cultivation as well as anatomy, physiology, and high sense perception training. This foundation, combined with highly developed intuitive faculties, supports the authenticity and effectiveness of the work. Clients report feeling clear, uplifted, and renewed through receiving energy medicine treatments. Some experience strong sensations of radiant warmth and energetic movement, while others experience visions and a deep connection with guidance. Most clients communicate an experiencine of entering into a deeply relaxed state of consciousness where access to healing is effortless. Reiki (pronounced ray-key) is a laying-on of hands healing technique that is believed to be thousands of years old. It is thought to have originated as a Tibeten Buddhist practice that was rediscovered in the late 1800’s by Dr. Mikao Usui. It is a very simple yet powerful technique that can be used by anyone to facilitate healing and relaxation. The word Reiki comes from two Japanese words Rei and Ki. The word Rei is interpreted to mean spiritual wisdom, spiritual consciousness, or God consciousness. This is the wisdom that comes from the Higher Self, that all knowing consciousness that understands each person completely, and knows the cause of all problems and difficulties, as well as what to do to heal them. Ki has the same meaning as Chi in Chinese and Prana in Sanscrit. It is the life force, the nonphysical energy that animates all living things. Ki is present all around us and can be cultivated and guided by our consciousness. It is the higher spiritual consciousness called Rei that guides the life force called Ki in the practice of Reiki, therefore Reiki can be defined as spiritually guided life force energy. Reiki is a holistic modality that addresses the whole person (body, mind, spirit, and soul.) Laying-on of hands, as well as distance healing techniques, are applied within this modality. Reiki treatments help to reduce stress, promote balance, and facilitate healing. Reiki also works to increase the vibrational frequency of the body as well as release energetic blocks that lead to disharmony and disease. Many clients report sensations of warm and radiant energy moving through and around them, creating feelings of peace, security, and well being. Others describe mystical experiences such as communing with guides, receiving messages, and perceiving visions. Nearly all clients, even those that do not “feel or see” energy, communicate that they experience deep relaxation through receiving Reiki. Once experiencing the benefits of Reiki, one may choose to learn Reiki so that they may be given the ability to heal themselves as well as others. Reiki is passed on from teacher to student during an attunement process. The Reiki attunement is a sacred spiritual initiation that connects the initiate with higher levels of consciousness and an unlimited source of healing energy. Once attuned, the student will have Reiki for the rest of their life. Reiki training consists of attunements, classes, spiritual practices, and reading. If you are interested in being attuned in Reiki, please contact me for details. Especially beneficial for working with trauma and deeply sensitive clients, this work embraces the physical body, as well as the larger and more subtle bodies. Subtle bodywork is practiced with light and deeply sensitive touch. The practitioner works intuitively, utilizing advanced skills in listening and presence, to effectively guide the healing process. This work has the capacity to penetrate into the deepest layers of our body, including the bones and bone marrow. It also has the ability to work in expanded realms transcendent of the physical. Clients remained clothed in a subtle bodywork session. A holistic therapy that weaves hands on therapeutic massage techniques with integrative energy medicine modalities to restore and balance the energy flow within the body. The practitioner works intuitively, utilizing advanced skills in listening and presence, to effectively guide the healing process. The approach of intuitive bodywork is similar to a subtle bodyork session. The main difference is that in an intuitive bodywork session deep physical pressure is often utilized. This modality utilizes vibrational sound frequencies to assist with releasing patterns of stress and toxicity, as well as fascilitating harmony, balance, and support. The sound frequencies may also provide a doorway into altered states of consciousness where potent healing medicine and internal guidance may be made readily available. Individual (as well as community) sound healing sessions are offered using therapeutic harp, tibeten singing bowls, medicine drum, rattles, bells, and the human voice. An integration of advanced energy medicine modalities, subtle bodywork, and vibrational sound healing with voice, tibeten singing bowls, and therapeutic harp. A harmonious blend of subtle and intuitive bodywork, master level reiki, and vibrational sound healing with voice, tibeten singing bowls, and therapeutic harp.